Rory's latest investment according to reports. 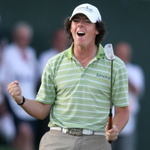 Four-time major winner Rory Mcllroy has bought a $2 million penthouse apartment just 20 minutes from his Florida pad, according to Gossipextra.com. The 10th floor condominium at Ocean's Edge on Singer Island is less than 10 miles from his Palm Beach home. According to the report, the world No 1 has spent $13.75 million on Palm Beach area properties in less than two years. In 2012, he bought a $9.25 million waterfront mansion in the Old Gate neighbourhood of Palm Beach Gardens, as well as the vacant property next door, for $2.25 million. The latest sale was completed in June, the report says. Six Top-10s in eight starts would have most players doing cartwheels. But most players aren't Rory Mcllroy and while the Holywood native "celebrated" his 25th birthday with a closing 70 and a share of eighth place behind fairytale winner JB Holmes in the Wells Fargo Championship, he was in no mood to pop any champagne corks. Chez Rory? World No 1 Rory McIlroy is set to buy a $10m mansion in Florida’s swanky Palm Beach Gardens according to a US report. Roger Federer has set up his own management firm with longtime agent Tony Godsick. According to The New York Times, the Swiss star is “particularly interested in signing a leading golfer in the near term.” Could he be chasing Rory McIlroy?